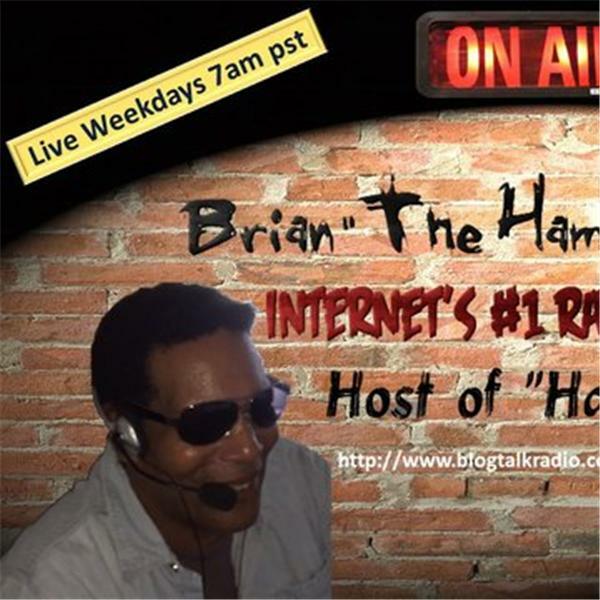 Brian The Hammer Jackson- Reality Radio- Hard on today issues & Live Interviews. Welcome to the Hammer Radio Network!!! Today on the show, Brian & Ellen J welcome into the studio, our good friend, author Jeff Bruce Crawford. You may remember Mr. Crawford's book Ashes In The Wind; he has a new project coming out soon, and he will be giving us the exclusive inside scoop about his new book, RIGHT HERE ON THE BRIAN HAMMER JACKSON SHOW!!!! If you would like to be in the know about this book, you have to call in and join us---live---and the number to do so is 319-527-6099. Also on the show today, Hammer & Ellen J will have headline news, what's trending, entertainment, politics and a whole lot more...we may even be making a live phone call or two. That is something you DON'T want to miss!!! You never know how these calls will end, because they ARE NOT scripted. Again, to join us live in the studio, the number is 319-527-6099. Michelle has a sweet secret she's longing to tell her boyfriend, Scott. But before she can tell him he breaks her heart in the worst way imaginable. Crushed, she leaves the restaurant on foot not telling him a thing. She resolves that she doesn't need him and takes steps to remove every trace of him from her life. "The Rift " Tess Burnside attributes her writing ability to real-life experiences and her work as a catalog copywriter for an international toy company prior to studying law and psychology. A survivor of domestic violence, she endeavors to champion causes for victimized people all over the world. She enjoys reading, cooking and baking and writes a blog when she's not too busy. She resides in California and enjoys spending time with her husband, children, and grandchildren.But..what is her dark secret? join us in studio for this intense interview- Our Second Guest Lewis Conway Jr.1) The importance of local governments 2) The importance of directly impacted people organizing 3) The Formerly Incarcerated Vote 4) Formerly incarcerated political candidates. Mark Twain's Letters from the Earth -- Satan's Letter -Does God care?